The return from Shanghai on this trip to Taiwan originally was booked on an American 787-8. The idea flying JAL's 787 out and AA's 787 back made for a fun 787 25+ hours of flying. But that changed on June 2nd when United announced Polaris. With December 1, 2016 being D-day for Polaris, I wanted to try it. Star's aligned (pun intended) when I searched for PVG-ORD and came up with an available United first class seat on the exact day I wanted to travel. This was June 3rd and I ticketed it immediately. As you can see it was scheduled to be on a United 777-200. A short time later the aircraft was changed to a 747-400. YES! Given the fact UA is retiring their 747's within the next 18 months or so, this might be a final time on that fabulous Queen of the Skies airplane. I love the triple 7, but for nostalgia purposes this was a great surprise. Plus I was flying EVA Airways soon to be retired 747 to PVG, so it was new 787's out and nostalgia 747's back. Anticipation was high. Of course new Polaris seating would not be on this aircraft, only the so-called soft product. There are highlights and some misses. Bottom line to me, it is the most comfortable bed in the sky. And I've tried a lot of beds in the sky. Let's have a look at Polaris. United's laudry bill has increased exponentially. I'm not fancying the white slippers, what was wrong with United's Rhapsody in Blue??? This is an amenity kit, not a day planner. If there is a better amenity kit available I haven't seen it, and I have a closet full. But I was most excited for this. The gel filled cool pillow. It must have worked as I slept 7 hours straight. An airplane first for me. The larger of the 3 pillows provided. There is more to Polaris, however here are my wins and losses on this flight for the Polaris soft product. 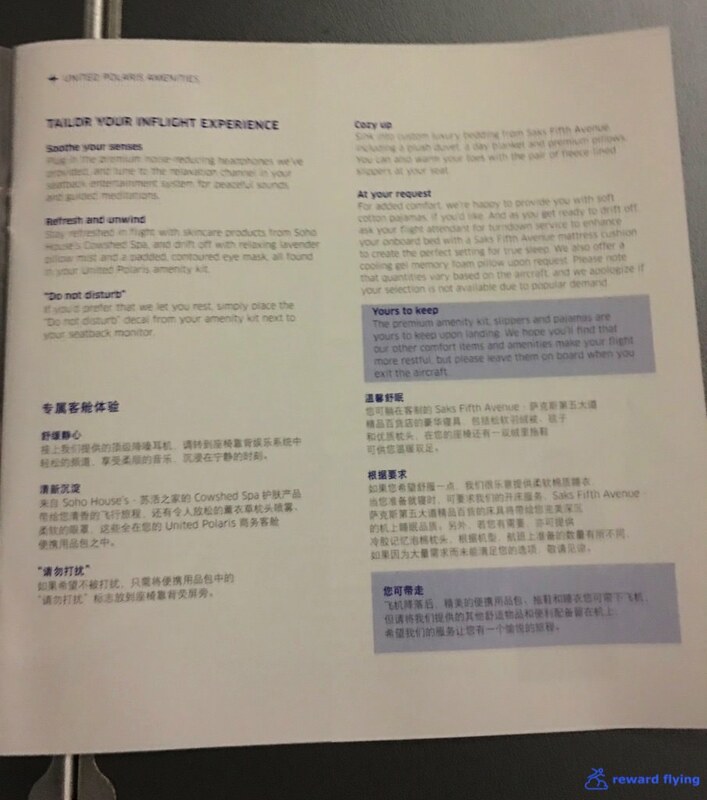 While United makes international premium saver rewards available, they aren't on par with ANA, EVA or some of the other *A partners. I felt fortunate to have secured this reward. This fare retailed, one-way, for $5,343. That gave my points a redemption value of 6.6 cents which is strong. This reservation was made prior to the October changes in United's program. The route still appears on a search, but I made a no cost change leaving a day earlier from Taipei to see Shanghai. There's a good chance something like that wouldn't be available now and even though there is no change other than date/time, with the new rules there would be a charge. It's too bad. I fully understand United tightening their rules as they were probably too flexible, but now they've gotten too inflexible. Just my opinion. United has the best mobile app of all 25 I have on my phone. And the competition is not even close. United uses Air China's lounge on the upper level of Terminal 2 at Shanghai PuDong airport. First class enters on the left and business enters on the right. The lounge is nicely appointed with full service dining as well as comfortable chairs. As you can tell it was empty. You can be seated for a for a full service meal and finish it off with one of my favorites for dessert, Sago Soup with Aloe Vera Juice. Or if you prefer to snack there are plenty of sweets and a few hot selections. In the back are showers, sleeping rooms and a VIP Room. I wasn't invited. I love sprinkles on my desserts, especially ones that fly. I found something fairly safe looking, but after circling the dining area twice I couldn't find a spoon so I can't tell you how good it was, or wasn't. 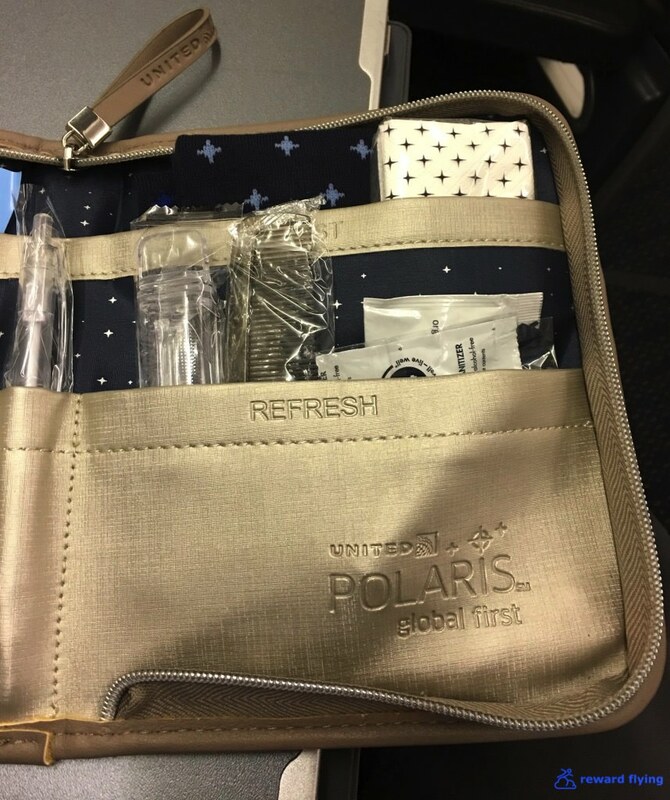 I was invited to visit the Polaris lounge after the flight. 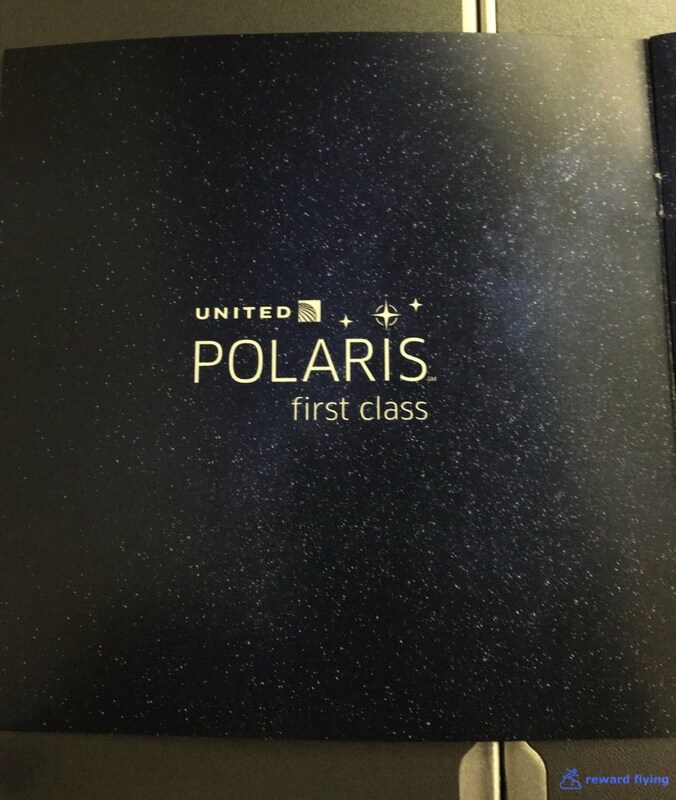 But international flights arrive at O'Hare Terminal 5 and the new Polaris lounge is in United's Terminal 1 Concourse C which meant a train ride, security and long underground walk. Those stars can wait. Off to gate 59. Having flown well over a million miles with United, I'm all too familiar with their boarding process. Once in San Francisco the flight was delayed and the gate agent happily announced they couldn't find the plane. I was made Global Services when it first came out, years before United employees knew what it was (I'm not exaggerating). It wasn't until after I lost Global Services that they finally made priority boarding for GS members. Back then it was just first class. Given my history boarding United flights, the zoo that awaited me was not surprising. Here is the "priority" line. Here is the economy line. Notice the placards pleading for you to get in line. Here are the placards for "priority" customers. Notice which way the young gate agent is hold the sign. He stood there holding the sign like this for 15 minutes, and this was after the mob behind him had formed. But at least there was some entertainment. Global First was innovative in its day. Kind of a reverse herringbone design. It's the nose of a 747. What more would you want? You could fit 2 747 overhead bins in a single B787/A350 bin these days. Fortunately for me a flight attendant cleaned out this storage locker next to my seat and allowed myself and another passenger to use it. Okay, so the seat was a little worn. It was still comfortable. However I'm not sure what they were thinking with the original color design. The IFE monitor is far away and small. Aisle side armrest has a drink holder as well as storage compartment. Note to UA maintenance: On #116UA seat 2A, the lid needs adjustment. You have to pry it open with something, the button doesn't work. A big compartment for the noise cancelling headphones. Reading lamp and handy seat control for bed or upright positioning. Lots of ports and seat controls, panel seems reversed don't you think? Both armrests can be lowered for a wider seat/bed. As mentioned, the Saks Fifth Avenue bedding was incredible. Like snuggling in your favorite cozy bed on a cold night with lots of comforters and pillows. 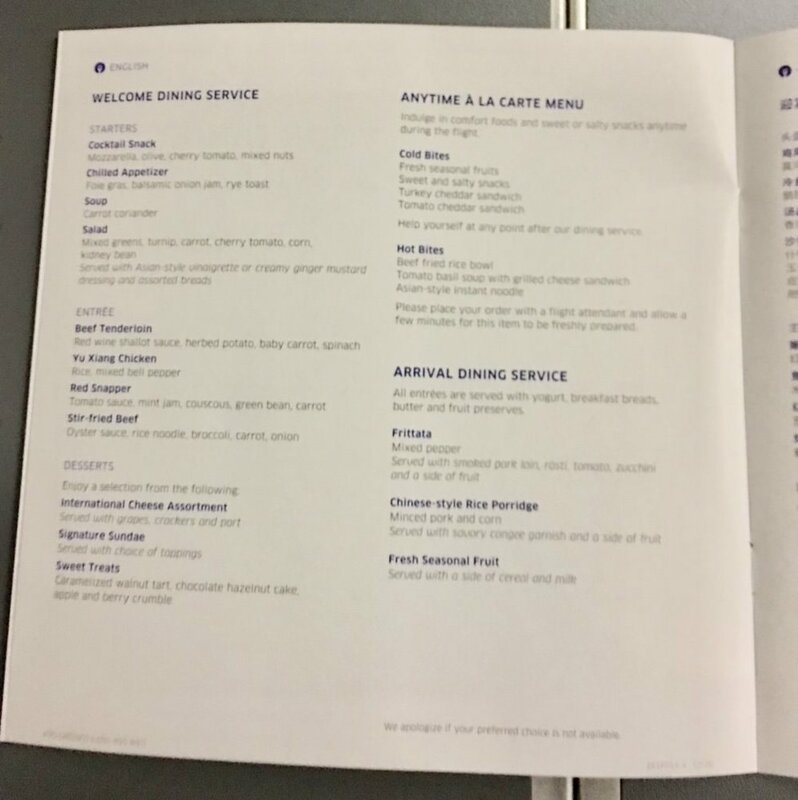 Part of the Polaris offering was a turndown service that you request when they take your meal order. I wish I could have gotten a better photo of the bed, but it's dark and others are sleeping so no flash of course. While the 747-400 cabin and seat pods are worn, the Polaris first seat was comfortable and I have to give extra points for a great sleep. Super comfortable! One of the best airline sleepsuits I've gotten. But UA only gives these out on flights of 12 hours or more. I wonder what happens on the 11:55 scheduled flight from NRT to ORD? Prior to landing a little red box was given to all in first class. 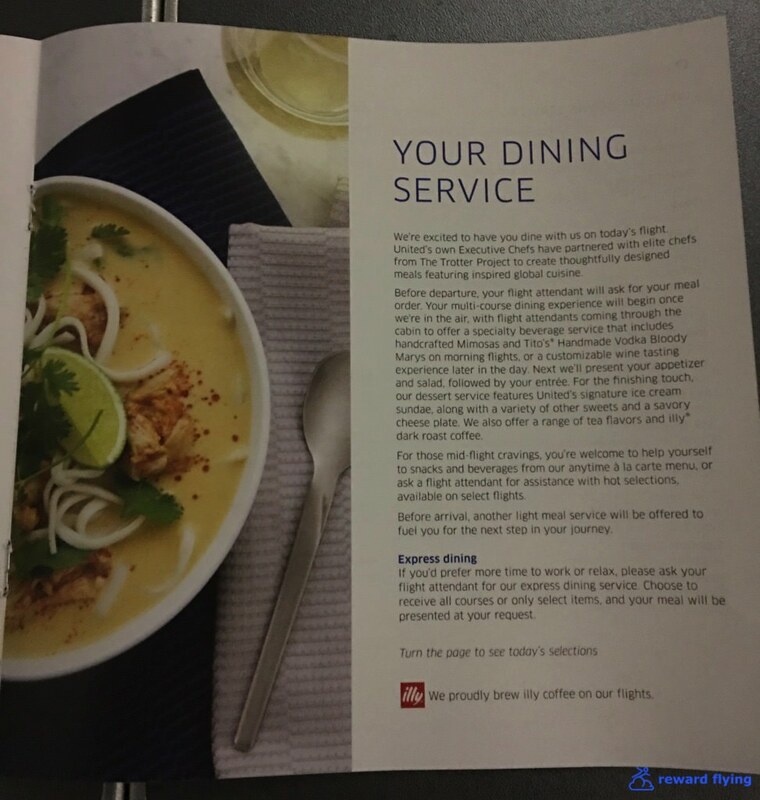 An insert offered the beverages on this flight. While Ayala Champagne may not be the most expensive on the market I found it quite satisfactory, not that I'm a connoisseur. The wine flight is a great idea. For me the Italians won the competition with Washington a distant second and Spain breaking down in the first turn. Have to like the globe salt and pepper shakers. United's starter. I won't show starters served on other international flights I've taken. On par with Etihad, at least was the foie gras itself. This is NOT rye toast, besides being stale. What is growing on my beef tenderloin? There it is, under the foliage. 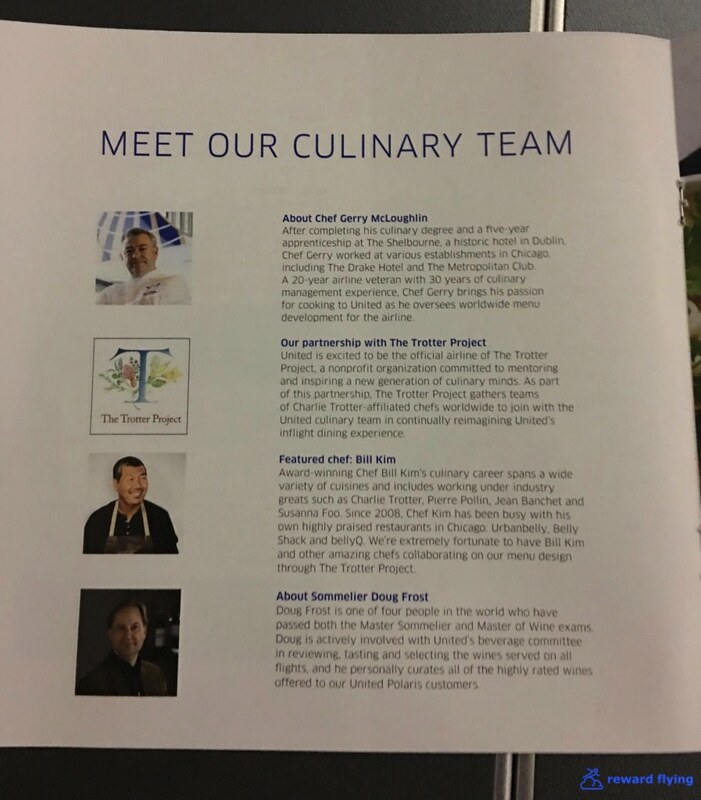 I mentioned to my Flight Attendant Christine (who was great), that ordering tenderloin on a plane can be hit or miss. How'd they do? And no, I didn't twist the plate for this 2nd view. Prior to landing, back in the states over Minnesota, it was time for breakfast. I point out "back in the states" because doesn't this look like a domestic first class breakfast? Sans the egg creation and un-flaky croissant it wasn't that bad. A very generous rating inspired by the PJ's, amenity kit, wine flight and multiple desserts, not the food. Nice headphones. I used them to listen to ATC which was the highlight of entertainment. When it was available as the system kept shutting down and resetting. At least 3 times while I was awake. Poor quality monitor on the Queen. Christine and the crew in first class were great on this flight! What a grand aircraft it is. As I sat after dinner staring at the ceiling in the nose on this aircraft, I listened to the rush of the wind as we sliced through the air at 550 MPH. You don't hear that wind noise on the new 787 or A350 aircraft. Sure it's nice being quiet, but that wind noise sitting in front of the pilots is something that will never be forgotten. United 747 #116 was making it's 3rd to last landing at O'Hare. It would do a round trip to PVG followed by one to Narita, landing back at O'Hare on January 4th, 2017. Next it will be re-deployed to SFO where it will finish it's career. I was lucky to be on this flight. But the sun always sets. Update: N116UA was officially retired having flown its last flight on 9/24/2017 from Seoul to San Francisco. Comments: United has made great strides with Polaris. It's unfortunate they are removing first class from their fleet as I believe it has a place on these long haul flights, but they haven't asked my opinion. With new interiors and IFE equipment coming many of the problems on this flight will be resolved. Food is something else. I was greatly disappointed. Not only in the quality but the presentation. Maybe it was just this flight, hopefully it was just this flight. I'll be back to try again.